This quaint and yet stunning luxury camping site is set within the heartland of the Languedoc region of France. To fully appreciate what awaits during this camping holiday, please contact a representative at LUX-camp for additional details. 470 different luxury camping pitches to choose from. Guests can enjoy luxury mobile homes. A site conveniently located near cities such as Carcassonne and Perpignan. Dogs are permitted during the entire tourist season. This portion of France has always been known for its panoramic views. These are enhanced due to the fact that this luxury camping villages is located quite close to the foothills of the majestic Pyrenees mountains. Other historic locations such as the immense castles of Carcassonne are likewise only a short distance away. These possibilities can provide any family with amazing possibilities while enjoying their camping holiday. 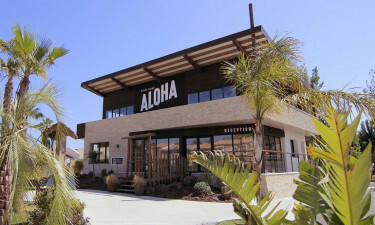 Aloha Village is a luxury camping site that has left little to spare in regards to convenience. Power supplies are offered to each individual pitch. Food provision facilities will provide all of the basic necessities needed during one's trip. Baby changing rooms are great options for those who are arriving here with children while washing machines and tumble dryers are found within a state-of-the art laundrette. 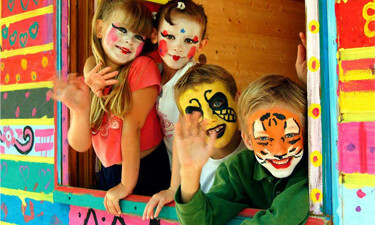 Infants and toddlers will be kept occupied thanks to the presence of a playground as well as live children's entertainment. 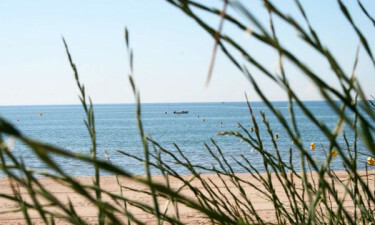 Another massive benefit of this luxury camping site is that it is located on the tranquil shores of Serignan Beach. The waters here are truly breathtaking and the sands are quite clean. Any family who has been hoping to experience the unforgettable beauty of the Mediterranean Sea will be impressed. Other on-site activities include table tennis, tennis, bicycle hire, surfing and sailing. There are two different restaurants to choose from which will enhance the overall sense of camping luxury to be found here. The Tiki Bar and Lounge provides a more casual dining atmosphere. Common foods such as pizza and burgers are available. The Pacific Restaurant is geared more towards fine dining, as it boasts traditional Languedoc dishes alongside Mediterranean-style foods such as fish and paella. A bar found within the Tiki restaurant is always available to serve up a tasty cocktail or a refreshing glass of French wine. Both of these venues are open during the peak and off-peak tourist seasons. A grocery store will provide all of the guests at this holiday camping site with the most pertinent items. Produce such as fruits, vegetables, frozen foods, drinks and liquors can be found here. There is also a section which caters to international needs such as newspapers, postcards and tobacco products. As with the bars and restaurants, this shopping centre is open throughout the tourist season. Please contact LUX-camp to learn further details.